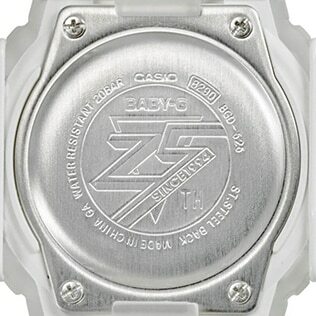 Tokyo, January 8, 2019 — Casio Computer Co., Ltd. announced today the release of the BGD-525-7, a commemorative reprise of the DW-520, the first BABY-G. 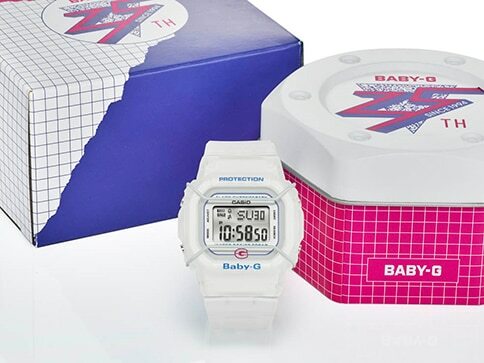 The timing comes ahead of December 2019, when Casio will mark the 25th year since the launch of the first BABY-G shock-resistant watch for women. 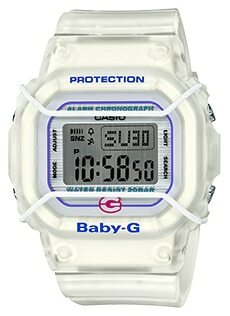 The BGD-525-7 announced today is a 25th anniversary model of the BABY-G that sparked a new trend and turned digital watches into fashion accessories. In addition to a semi-transparent case and band, it comes with a simple square form signifying toughness and a protector that symbolizes strong shock resistance, plus a pink “G” logo. These touches make for a faithful reproduction of the original DW-520’s design. Because BABY-G is always evolving, the BGD-525-7 has double the water resistance of the DW-520, boosted from 100 meters to 200 meters. The case back is engraved with a special 25th anniversary logo designed with a 1990s theme that harks back to the time of the DW-520’s launch. The package, given a street fashion flair featuring a vivid pink and purple, is a suitable finishing touch for this special model released in an anniversary year.